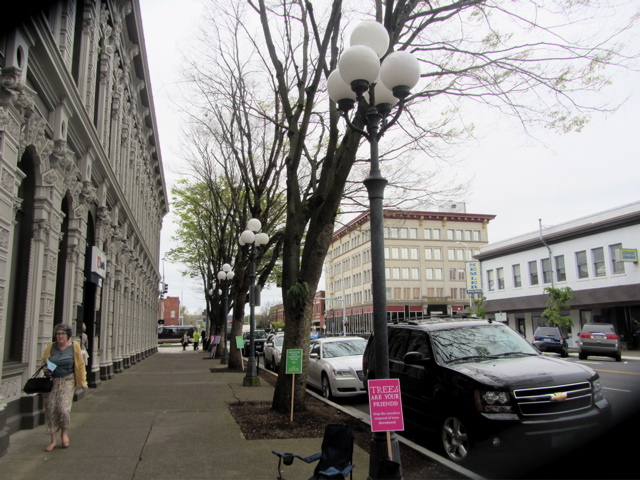 In downtown Salem, Oregon, three of five Zelkova trees at the Ladd and Bush Bank Building, currently housing a U.S. Bank branch, were removed by U.S. Bank after appealing the Shade Tree Advisory Committee's original "no removal" judgement. 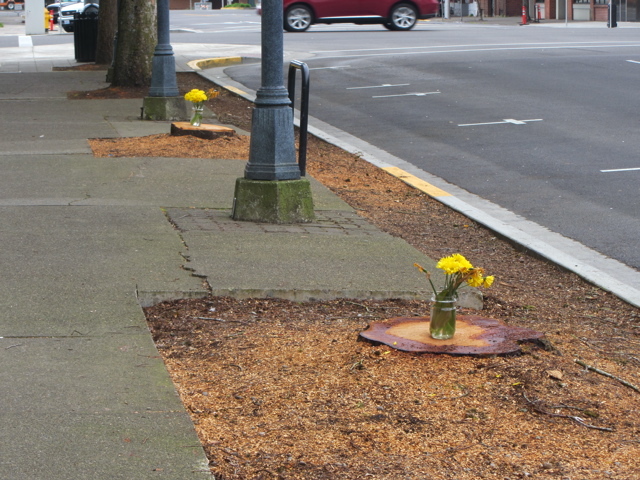 Citizens demonstrated against the reversal of the "no removal" judgement and installed memorials when the trees were stumped. The first Earth Day was April 22, 1970. The five Zelkovas were planted in the early 1970s and removed before this year's Earth Day. The three trees that were cut were almost 43 years old. The fate of the remaining two Zelkovas remains to be seen. Brian Hines filed an appeal to save the remaining two Zelkovas on April 22, 2013. Watch this space for updates. In the meantime, you can follow HineSight.com or On The Way. P.S. 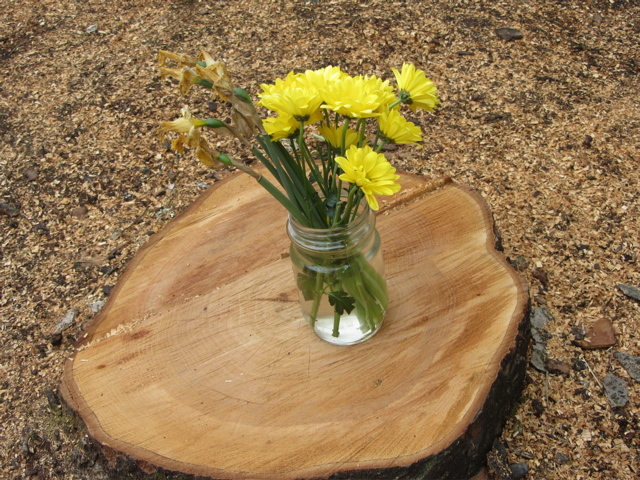 Have you read the 80 Wooster Street stump story?